Isagenix Isalean is a shake for replacing a meal and has been clinically tested to support lean muscles and weight loss. There are 23 vitamins, minerals, and a total of 24 proteins. The company claims this shake is superior as a replacement shake because of its high level of nutrients and low sodium, fat, and cholesterol. You can mix the shake with water or milk, whichever suits your taste. All proteins are made without added hormones or antibiotics. The protein comes from a milk extract and is spray dried and processed. This is an inexpensive way to provide protein and is commonly used in many processed foods to added protein. There have been some concerns regarding the safety of this ingredient. It is commonly imported from countries with different safety standards that could lead to a higher risk of toxic effects such as melamine adulteration. Melamine can possibly lead to organ damage and various other health issues. According to the Water Watch organization, pasteurized processes do not kill melamine and has appeared in many other milk protein blends. This is a fruit sugar that is an additive for sweetness but has absolutely no nutritional value. This is considered a very dangerous sweetener as it can lead to many health issues. The Louisiana University conducted a study and found that it may have detrimental effects and future risks of cardiovascular disease. The study also stated that this causes an increase in cholesterol that may lead to numerous complications: “reduced 24-h plasma insulin and leptin concentrations”. Dictionary.com: Leptin is a hormone that is thought to suppress appetite and speed up metabolism. Fructose is stored in the liver and can cause negative health results. Many studies have found that this ingredient should not be consumed and should be exchanged for healthier sweeteners. This is an ingredient that is used to thicken many processed foods and is a combination of fermented sugar and bacteria. Some possible side effects may include: Bloating, stomach issues, and diarrhea. The shake has high levels of calories, around 240 grams. This means you have to burn off many more calories in order to lose weight. Two shakes have 280 calories which is much higher than other replacement shakes. The shake has a high amount of protein (24 grams), but not all is whey which is high-quality protein. 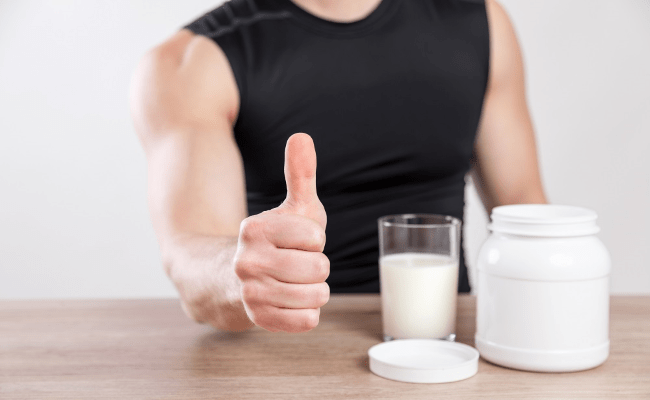 Some of these proteins come from non-fat milk and milk protein concentrate and both of these ingredients can be purchased for a great deal less. In summary, the ingredients in this shake are too high in calories and sugar to allow for successful weight loss. Some of the ingredients are very cheap and can lead to weight gain. The 14-serving container costs $51.95 and if you consume two shakes per day, for 28 days, will cost $207.80. This is considered a very expensive replacement shake. Although this shake does offer high levels of protein, not all are healthy proteins. The level of sugar is way too high, with 2 shakes adding up to 22 grams. The company has more than 43 complaints from their unauthorized payment system to fraudulent sales practices. Auto-shipment is the leading complaint by most customers. The sales process will automatically charge your credit card each month for the product. When customers attempted to complain to the customer service staff, they were unresponsive and would not assist the customers. Even though customers continued to complain, their cards were still constantly being charged. Reputable companies that have continued charges will remove you from their list if you choose. The shakes are high in whey protein, there are no fillers, customers have stated that it has a great taste, and they have lost weight. There are many who believe the opposite that this is a valuable replacement shake and many are very satisfied with the product. It has been named the best meal replacement shake for 2016 now that it under the name “18Shake”. Under the name “18Shake, your money will be returned if you are unsatisfied with their product, with no questions asked.